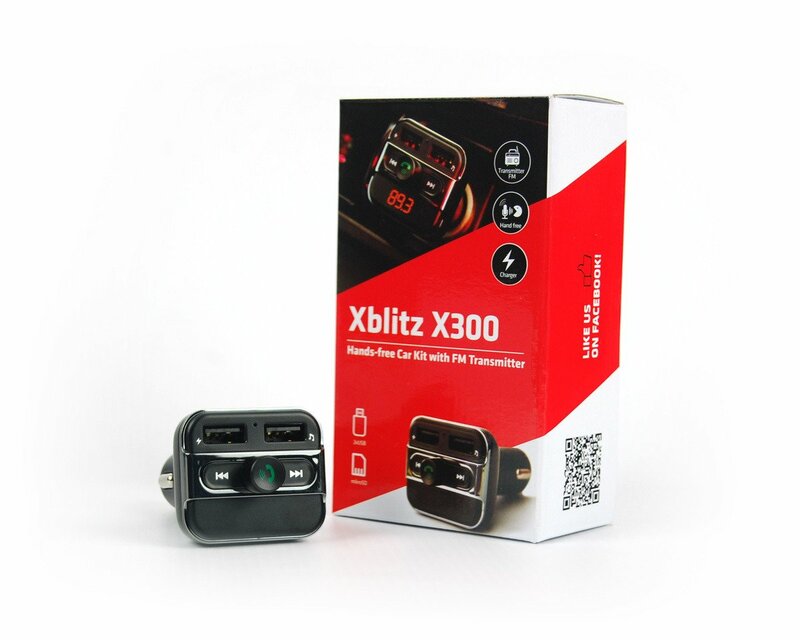 Xblitz X300 is an FM transmitter with double USB slot and phone calls maintenance. Small, nicely designed device. Handsfree bluetooth system with FM transmission is a multifunctional device synchronized and ready for use in the car. 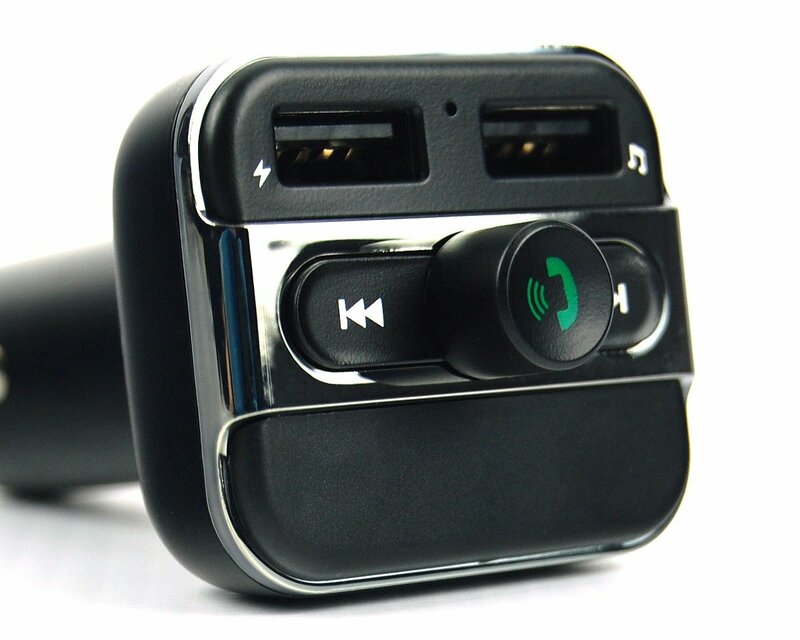 Xblitz X300 transmits the music and vocal calls from your Bluetooth device straight to your car radio. It also possess microSD card slot and double USB slots. Your favourite MP3/WMA music tracks via the car radio. Most functions are available to use through the handy winder. 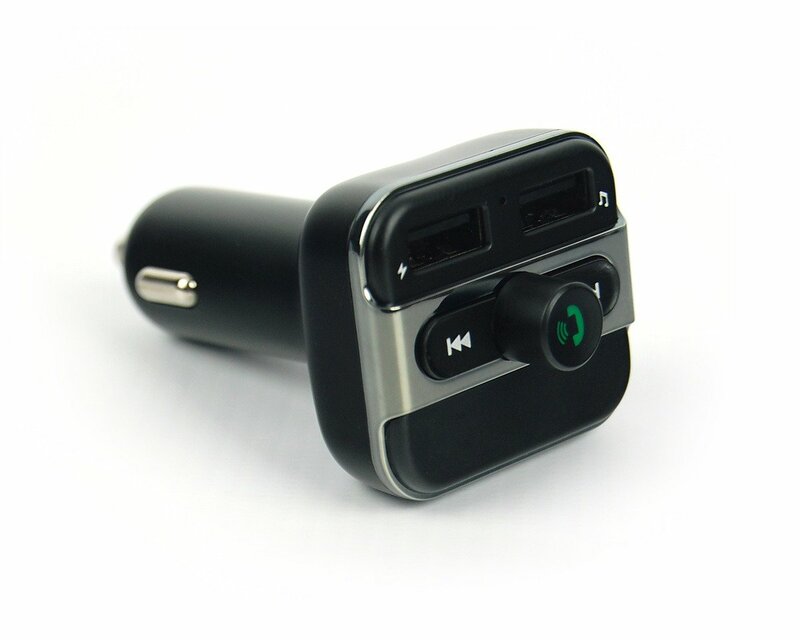 We hope that our Xblitz X300 FM transmitter will provide safety and pleasant journey. Why to use Xblitz X300? AUTOMATIC SWITCH: Possibility to switch from music mode to phone calls maintenance mode without using your hands allows to combine safety ride with practical use of time. VOICE CALLS TRANSMISSION: This function provides possibility of transmitting vocal phone call from your smartphone to your car radio. 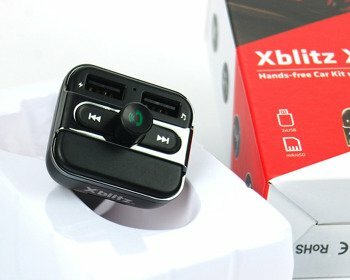 BUILT-IN MICROPHONE: Thanks to built-in microphone, Xblitz X300 may be used as a handsfree system providing handy and safe phone call making while driving. MICROSD CARD MAINTENANCE: X300 has microSD card slot and double USB slots – your favourite music coming from the car radio is no longer a wish! 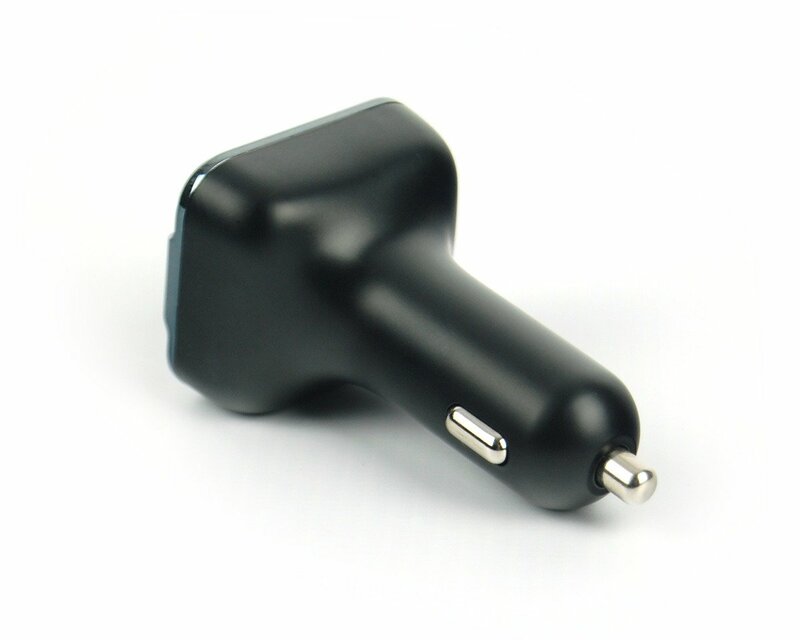 DOUBLE USB SLOT: Aggregated power of double USB slot equals 5V/3 , 4A when we charge the mobile device.